P.S. 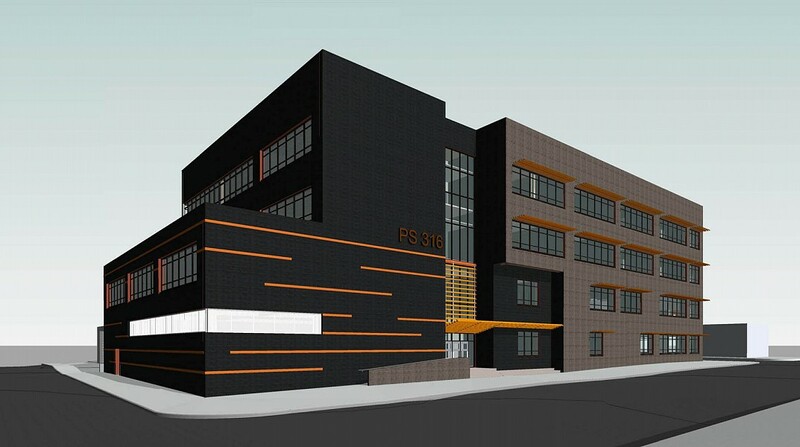 316Q is a new 66,800sf primary school located in the Woodhaven neighborhood of Queens in District 27. The new 4-story school accommodates 444 K-5 students and includes a 16,000sf play yard, gymnasium, library, cafeteria and classrooms. This structural steel building includes a cellar level which is supported on 2-ton soil. Steel trusses are provided at each floor framing above the cellar to the lateral forces. The entire building design was completed using BIM software (REVIT) which created a 3-D model of the building, complete with structural framing, mechanical equipment and all of the major building systems to produce contract documents and perform clash detections. 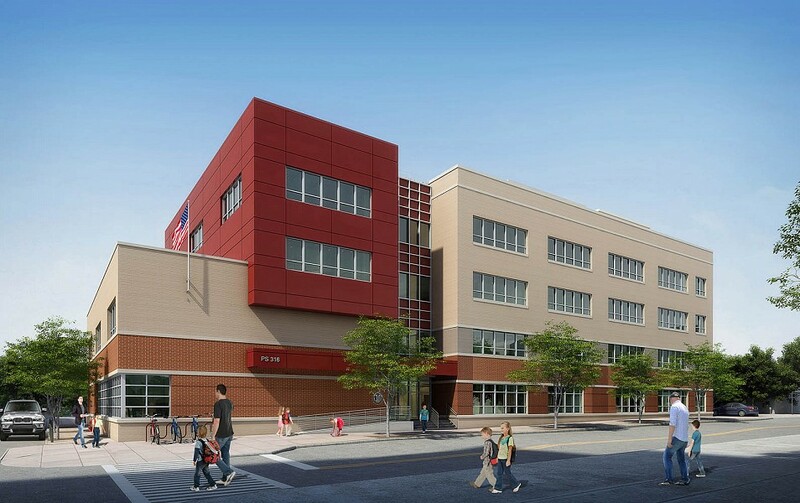 This is the one of the first SCA schools designed to incorporate all of these components in the 3-D model and was used as a prototype for the SCA's new BIM standards. © Ysrael A. Seinuk. All rights reserved. YAS@Yaseinuk.com - Certified MBE Firm.